A team of six youth sailors will represent South Africa at the RS Tera World Sailing Championships being sailed offshore out of Club de Vela Santona, Spain from 30 July to 5 August 2016. Three members of the South African Team are from Port Elizabeth, Nelson Mandela Bay; Tammy Bailes, Luke Weddell and Sophie Hynch. Bailes and Weddell are Grade 8 pupils at Collegiate and Grey High School respectively whilst Hynch is in Grade 11 at St. Dominics Priory. This will be Hynch’s third World Championships after sailing the Tera Worlds at Pine Lake Marina, Sedgefield in 2014 and Aquavitesse, the Netherlands in 2015. Sophie sails for the Redhouse Yacht Club. Bailes and Weddell, who sail for the Algoa Bay Yacht Club will be sailing in their first Tera World Championships and will sail in the Sport fleet which makes up 44 of the 73 entrants. 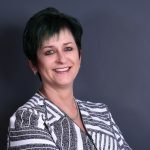 Tammy is currently ranked first in SA in the Sport Fleet and has a solid sailing pedigree behind her having sailed in a number of high profile events including the 2015 Mirror Worlds sailed in South Africa, the 2015 Australian Mirror Nationals, 1st on the Tera Sport at the Western Cape Provincials, 1st in the 2016 Tera Nationals sailed out of Pine Lake Marina, Sedgefield and second at both the Eastern Cape Provincials and Youth Nationals. School sports for Tammy are Hockey and Water Polo. 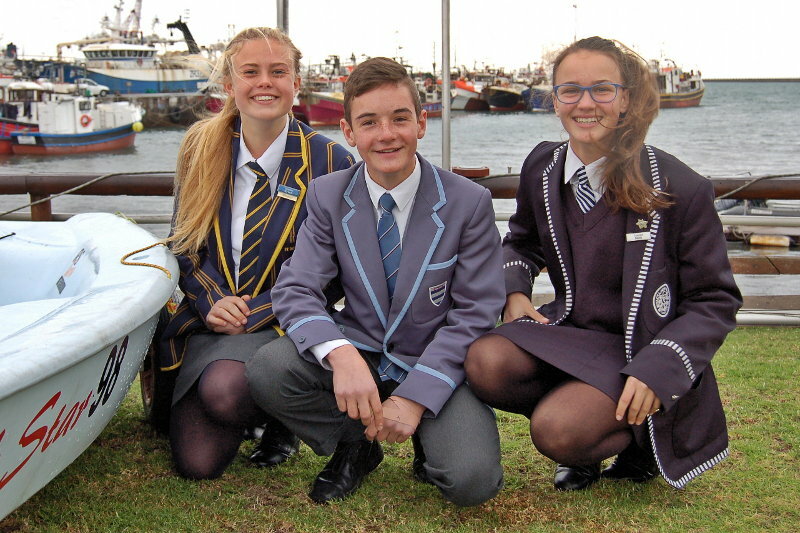 Grey High Schools Luke Weddell is a product of the ABYC Sailing School having started sailing in an O9’er and then an Optimist Dinghy. “Sailing is fun and gives you a rush,” says Weddell. “I went to Tera Nationals because I thought that it would be fun,” continued Weddell. Proving that fun is the best way to excel, Luke then went on and sailed to a very credible 7th place in the Tera Nationals. Luke has his eye on using skills gained on the Tera to sailing on a Laser in the Laser Nationals later on this year – when he can get time away from his other two school sporting codes of Rugby and Water Polo. Six years of sailing for Sophie Hynch has honed her talent and allowed her to take part in her third World Championship sailing event on the Tera. Third ranked in South Africa, Hynch will be sailing in the Pro Fleet. When not sailing competitively on the Tera, Sophie crews on a Sonnet. Sailing on the Swartkops River has honed Sophies ability to tack and given her a great understanding of tides and how to sail effectively. Sophie is hoping for a lighter wind regatta in Spain and a midway finishing position. “When I sail all my problems go way,” concluded Sophie. The expected weather conditions for the World Championships in Spain are hot with light winds which is completely in contrast to last years World Champs and could suit the lighter smaller sailors in the team. The three other members of Team South Africa are: Ashley Rudolph (Zeekoeivlei Yacht Club), John Peter Kriel (Knysna Yacht Club) and Robyn Hellstrom (George Lakes Yacht Club). Team South Africa has received sponsorship from Pine Lake Marina in Sedgefield – a legacy from the 2014 South African World Championships sailed on the Sedgefield lake.